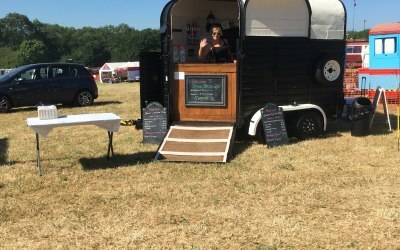 Traditionaly cooked jacket potatoes with various homemade fillings, pies and peas, mint sauce and a splash of Henderson’s relish, hot dogs with spicy onions all cooked and served from or converted Rice horse box covering the Yorkshire and other areas. 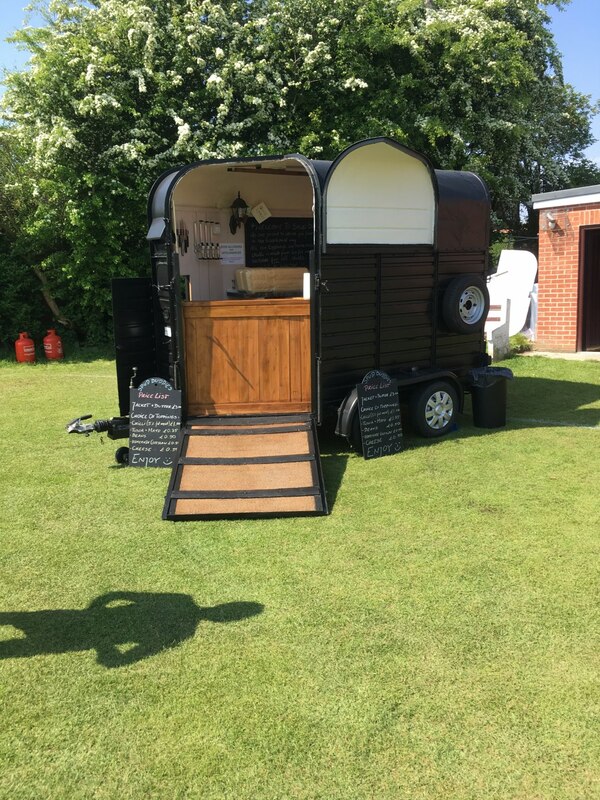 We use a traditional cast iron ovens to cook our fresh potatoes coated in olive oil to give them a crispier skin from a coverted Rice horse box which holds a 5star rating for cleanliness. Our homemade chilli we offer uses the 5% fat mince from a reputable local butcher that is suitable for the health concious people and is homemade as is our coleslaw. We also offer tuna mayo, grated cheddar cheese and the traditional baked bean, all served with optional real butter. We also serve our homemade chilli with nachos and optional sour cream and jalapeños. To add to our menu we also cook and serve our slabs of steak pies made to order from our again reputable butcher with mushy peas, mint sauce and Henderson’s relish. Hotdogs also we serve with fresh cooked onions with all the sauces. 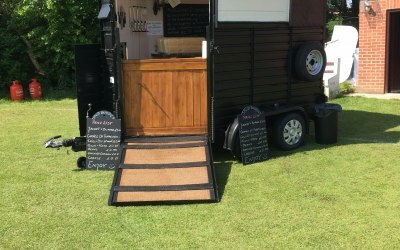 We provide our variety of our food to all types of events ranging from small family gatherings, corporate events and weddings to pub events and christenings. 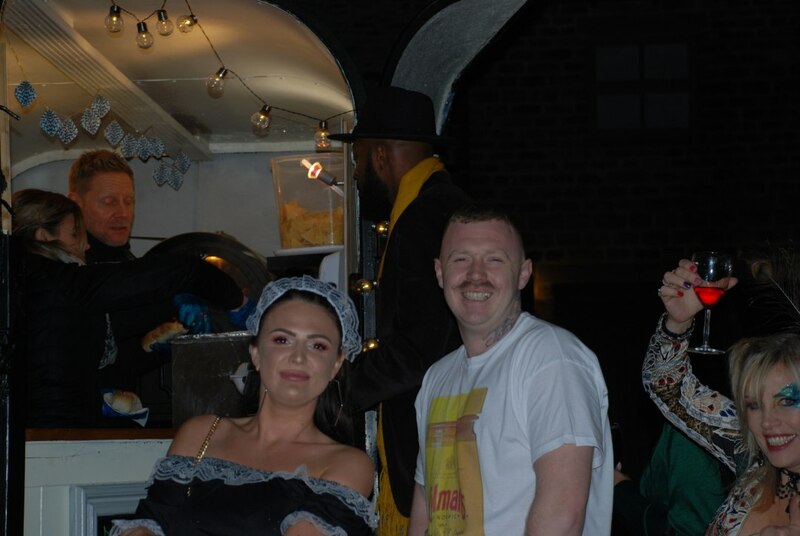 Nick did a great job serving baked potatoes to about 120 people in a very short space of time in the interval of a Race Night I was running to raise funds for the Motor Neurone Disease Assoc'n. The food was delicious, with plenty of choice of fillings and everyone was very complementary about it. Nick had kept in touch with me leading up to the event and my confidence that he would do a good job for us was fully justified. Would wholeheartedly recommend him. Brilliant service and food, couldn’t have asked for more. We booked Spud Buddies for a recent corporate staff luncheon. They arrived on time for set-up and were easy to work with throughout. 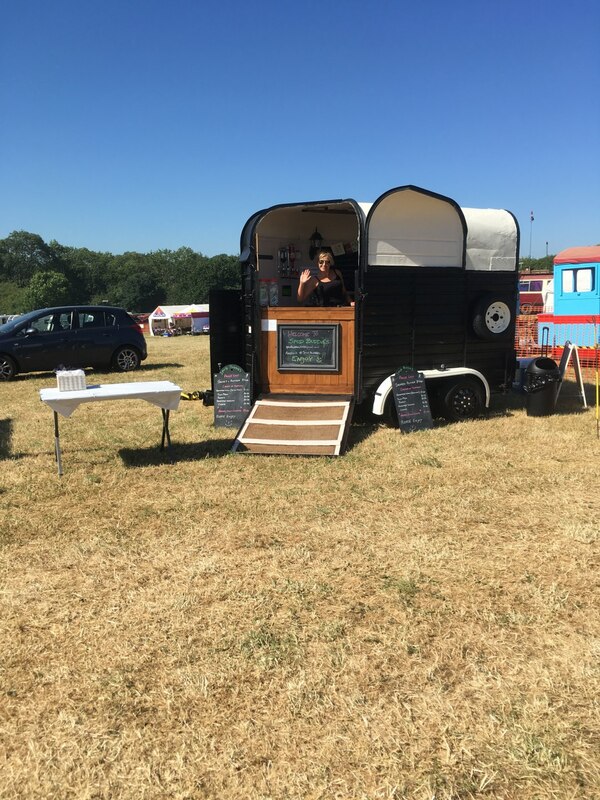 Their on-site staff provided delicious jacket potatoes with a good selection of fillings and were able to cater for our veggie and vegan requests. Their unit and staff were clean and all food was served piping hot within a timely, friendly and professional manner. Running up to our luncheon the Spud Buddies team provided good communication and responded to all of our questions and queries. I would without a doubt would use this company again for any future events. Spud Buddies catered for our annual Bonfire. We usually have a hog roast but we thought we would have a change and have traditional Bonfire food. Kevin and Nick were really friendly and the communication was really good. All went to plan and the food was excellent, we had pie and peas and jacket potatoes with various fillings, also unexpectedly they provided nachos. There was something for everyone. After getting feedback from our employees everyone was happy with the food and had a fantastic night. 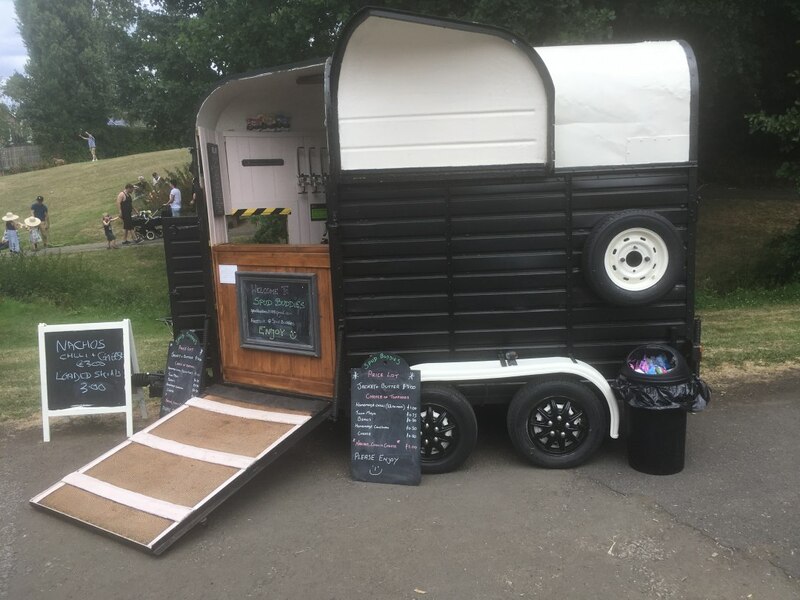 I would definitely recommend Spud Buddies to cater for your event. Thank you. 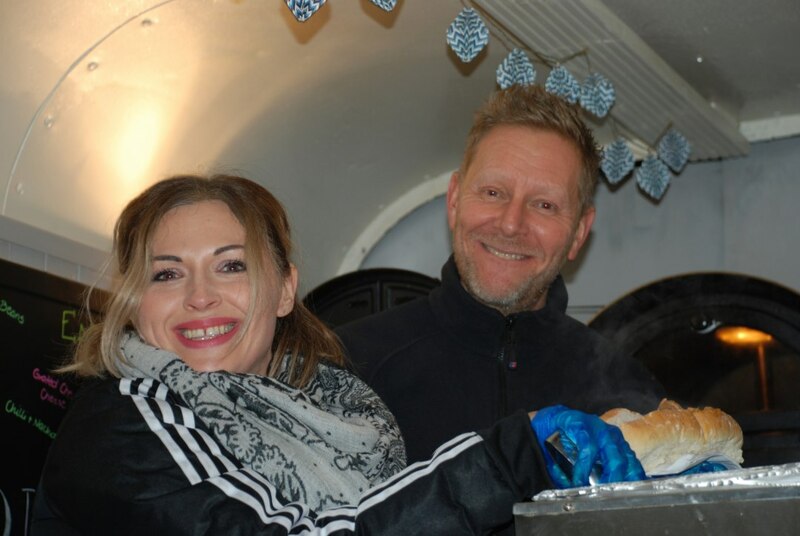 Jackets cooked to perfection and beautiful pie n peas, feedback from our event. Brilliant set of guys friendly, fun gets involved. 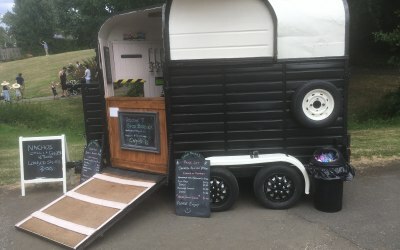 Would definitely recommend to any event. Get quotes from Spud Buddies and others within hours.